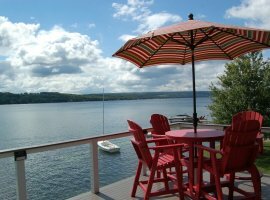 If you’re looking for the perfect, private location on Keuka Lake with one of the best views, you have found it at O’Cottage! This one-of-a-kind property is nestled off the end of the private extension of East Bluff Drive on a level lakeside lot. There is no drive-by traffic and no visible neighbors to one side of this lot. A warm and inviting space greets you as you enter the home into the kitchen. The kitchen features stainless steel appliances, a glass cook top stove, and granite countertops. You can enjoy the beautiful gas fireplace as you prepare meals and gather with your family and friends. Just off the kitchen is a full bath with tub/shower combo. Two more separate living areas, both tastefully furnished, provide enough space for the entire family to relax. A beautiful set of pine barn doors add an eclectic touch, and can be closed for privacy if the adults wish to gather in one space to chat and enjoy a glass of Finger Lakes wine, as the children play or watch a movie in the third living room. A staircase off of this room leads to a private bedroom on the 2nd floor. This bedroom features a Queen size bed, and a great view of the lake. The second staircase leading to the 2nd floor is located off the kitchen. The other three bedrooms are located on this side of the house. There are two queen bedrooms; one of the queen bedrooms features a small TV with a DVD player. The third floor has a queen bed and four singles; this is the perfect place to set the kids up, which is what we do. You can enjoy the view of the lake from all three bedrooms! A full bath with shower is conveniently located to these bedrooms. 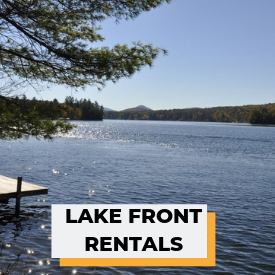 The lakefront at this property is unlike any other, and where you will want to spend most of your time! 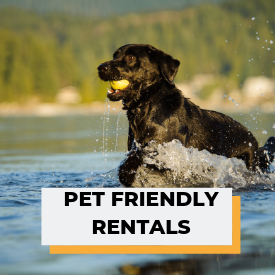 With two gradual entrances to the lake, you can wade in the warm, shallow water and children can enjoy the perfect spot for splashing and swimming. A picnic table is located lakeside, where you can gather for meals or a game of cards. This home is located in a prime fishing location, so make sure you bring your fishing poles. Fish off the dock, or take the rowboat out and enjoy the scenery. Relax in the Adirondack chairs and tell stories around a campfire. Watch for shooting stars under the clear night’s sky. 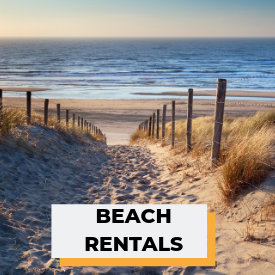 Just minutes from local restaurants, wineries and shops, yet set in a location where you can privately enjoy your vacation. O’Cottage is the vacation destination you have been waiting for! The home was renovated in 2005 and is lovingly maintained and updated each year. This is a smoke-free and pet-free home. 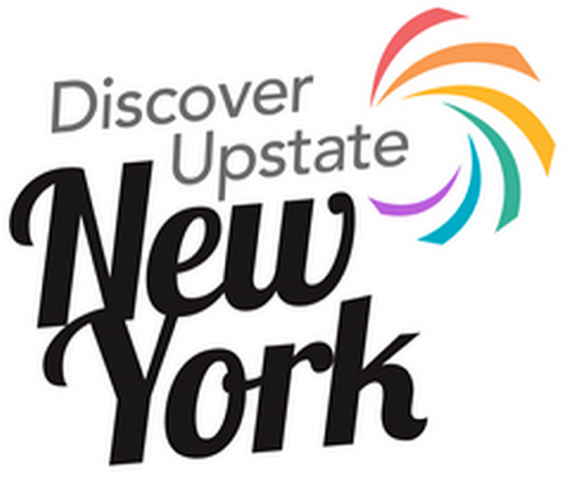 If you'd like to see more photos or want to take a walking tour, please visit us on Facebook. 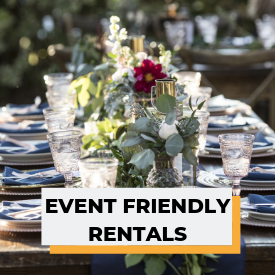 We rent full weeks on a Saturday-to-Saturday schedule during the summer months, which run from the second week of June through Labor Day. 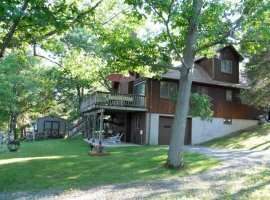 Please note that O'Cottage is a seasonal Keuka Lake cottage rentals and is closed for the winter from October 31-April 15. No smoking. No pets. Occupancy strictly limited to 12 (including children) at any time. 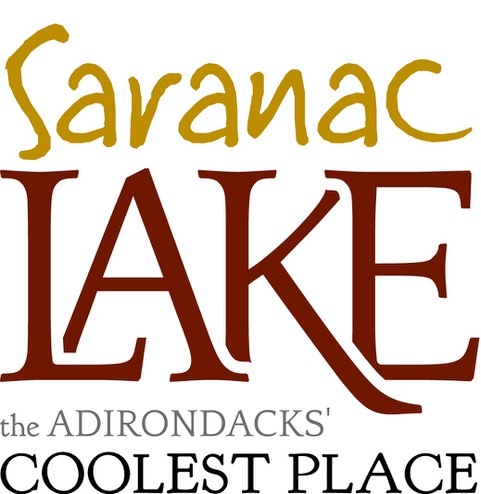 Parking is limited to four vehicles and RV's and trailers are not permitted. There is no off-street parking, as the home is located on a privately maintained, one-lane road. This is a private residence and no parties are allowed. 4WD is recommended as the driveway is very steep. Linens and towels are not provided but comforters/quilts and pillows are. Refunds are provided only if the dates of the reservation are re-rented. The driveway is steep but the house is at level ground. There is a first floor bathroom, but it is elevated three steps above the ground floor. All bedrooms are on the second and third floors. This is our family home that is lovingly maintained and updated and upgraded every year. We rent our hme when we are not using it. This was my family's first visit to Keuka Lake. We had an amazing time! The house was well-kept and clean and gave us plenty of space to relax. The location on the water was unbelievable! We only came for the weekend but wished we could stay longer. We really enjoyed the Windmill craft market, especially the kettle corn. Enjoyed out time here immensely. The host was very accommodating and easy to work with The house was clean and well-arranged. The water was perfect! The weather was warmer than we had planned and but the house had fans and the weather made us appreciate the lake even more. Thanks for having us! The memories created by our family at this lake house are ones that will be cherished for the rest of our lives. We loved that this home is directly on the water and at the end of the bluffs. Our father loved the bluff area. He viewed the bluffs as a retreat from the hustle and bustle of working on the dairy farm we owned in Benton Center. My three siblings, niece, sister-in-law and I returned to the area to honor him and our mother. All of us are so glad we chose this home as our "home away from home." Mornings filled with the symphony created from the combination of the sound of the water and the songs from the birds set the perfect tone for the day. One of true tranquility. Then evenings filled with skipping stones and roasting marshmallows to make S'mores and S'moreos (thank you Anatasia for teaching us about S'moreos) were the ideal way to spend quality time together. While our family is close, we all left with a better connection to one another. Best spot on the lake. Great house! Private and roomy. Check out the fishing. The water is so clear you can see prized bass from the dock. Really great area to snorkel with the kids as well. This is a gorgeous location and a thoughtful house. Loved the privacy and conquered the challenge of the driveway, lol. Our host was very helpful. The water was invigorating but that did not stop the kids from swimming and jumping off the dock for hours. Can't wait to come back! Thanks for having us! This house is in the top ten best locations on the water. Private and comfortable house. The lakehouse is right on the water, secluded from other people and has an incredible homey charm! Wow, this place is so beautiful and perfect for my family to getaway. There is plenty of room and so many different places to hangout in the house so that the kids can have their own area while we have ours! The house is right on the water, you couldn't get any closer, making it easy to keep an eye on the kids while the adults chill out on the lawn in the adirondak chairs. 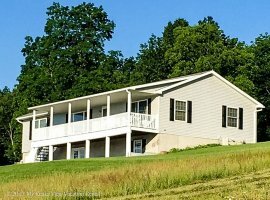 The property also has a fire pit right next to the water making it a great family activity to have a cookout and make snores while watching the sunset over the lake. All in all I would definitely recommend this house because the owners are so kind and helpful and always easy to reach with any questions, the house is in a perfect private location with a load of access points to the lake including a dock, and the house is beautiful with so much room to spread out, it is decorated very well and my family had an amazing vacation on the lake here! This house was perfectly described and fulfilled every expectation. It was homey, clean, and left us all wanting to return again next year! Just booked for next year! We loved this house and its location. Just booked our vacation for next year. The house is plenty spacious and the location is the best. Thank you for sharing your home with us! Very private, charming decor, great workable kitchen, comfortable beds & cozy spaces. And, the best part, it's on Keuka Lake!! Thoroughly enjoyed our stay!